Will iBooks Textbooks Extend the Reach of Historic Sites? 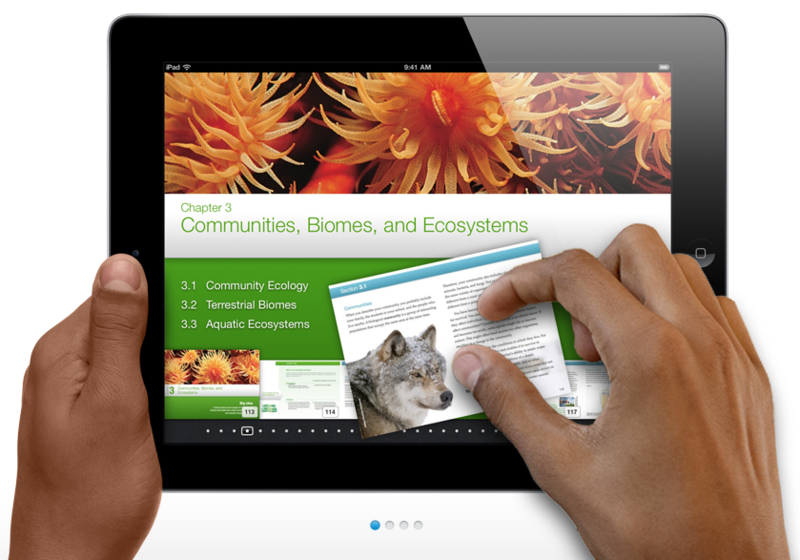 iBook textbook on an iPad. Image courtesy of Apple, Inc.
A Multi-Touch textbook on iPad is a gorgeous, full-screen experience full of interactive diagrams, photos, and videos. No longer limited to static pictures to illustrate the text, now students can dive into an image with interactive captions, rotate a 3D object, or have the answer spring to life in a chapter review. They can flip through a book by simply sliding a finger along the bottom of the screen. 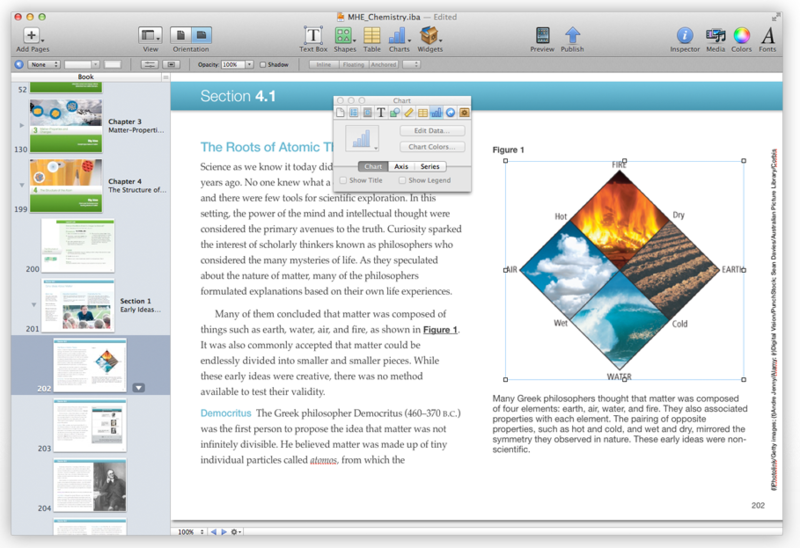 Highlighting text, taking notes, searching for content, and finding definitions in the glossary are just as easy. And with all their books on a single iPad, students will have no problem carrying them wherever they go. They’ve already partnered with Houghton Mifflin Harcourt, Pearson, and McGraw Hill to produce textbooks on math and science. With the big publishers in play, what’s in it for historic sites and history organizations? A lot. iBooks Author. Image courtesy of Apple Inc.
With the release of iBook Texbooks, Apple also released iBooks Author, a free application that will allow anyone to create a textbook or any other type of book for the iPad. They provide the software and templates, you drag-and-drop text and images and plug in widgets to create interactive elements, and finally publish it to the iBookstore for free or for purchase. One of the big challenges for history organizations is figuring out how to jump into the e-book market–after all we have great content, images, oral histories, and video but most of us don’t have the ability to design, produce, or distribute them. That may now be over with the introduction of this application. I can see it can transforming your exhibit catalogs, walking tours, teacher lesson plans, and student handouts–what do you see as possibilities? This entry was posted in Books and articles, Collections, Historical interpretation, Resources, Technology and tagged Apple, iBooks, interactive elements, iPad on January 19, 2012 by Max van Balgooy.